When you call to make a reservation (if you can get one), it is likely that Chef Vedrinski will personally answer your phone call. 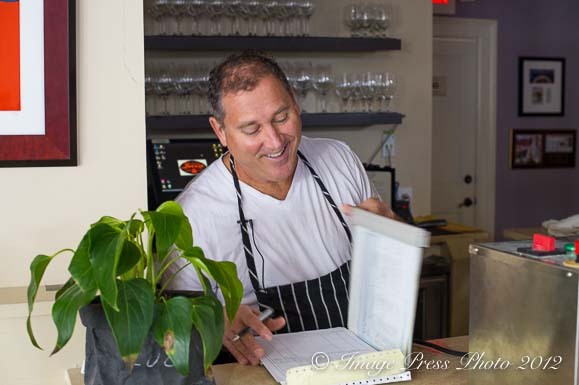 As the chef/owner of Lucca, he oversees every aspect of his restaurant. 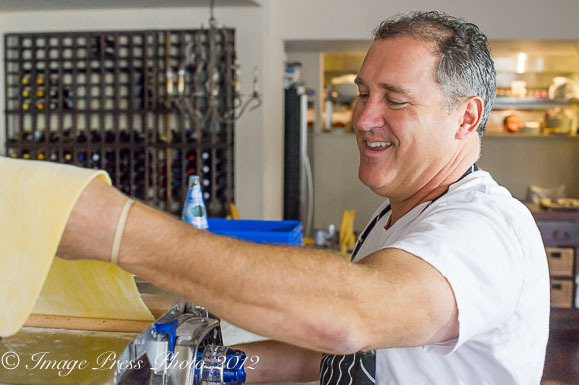 You will find Vedrinski answering the phone, talking with his purveyors about what’s available that day, ordering the wines, writing the checks, and individually hand making about eighteen pounds of homemade pasta, each and every day. For Chef Vedrinski, Lucca is truly a labor of love as his day is quite different from the size and ambition of his past experiences. 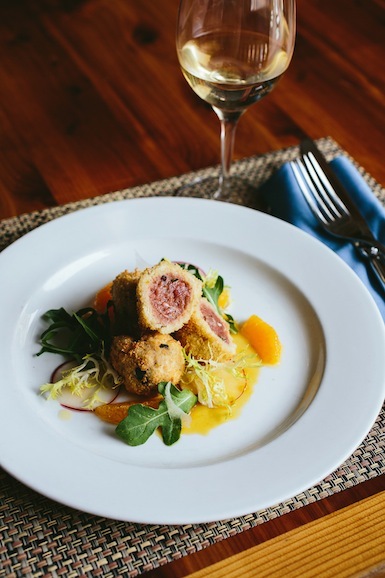 No stranger to receiving accolades for his talent in the kitchen over the years, when Vedrinski was executive chef at The Restaurant at Woodlands Inn & Resort, he received the only Mobile Five Stars awarded to a South Carolina restaurant. The restaurant was also given the only perfect food score in North America by Condé Nast Traveler in 2002. 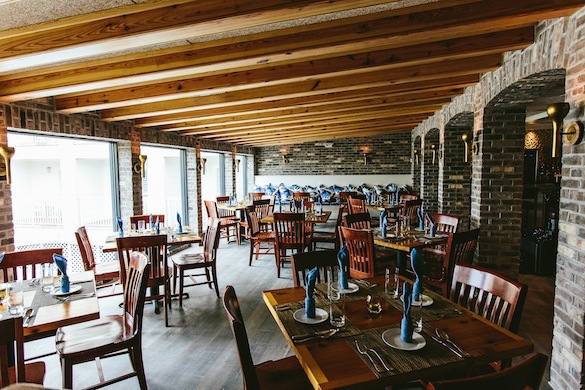 With a focus solely on Italian cuisine, his Sienna Restaurant on Daniel Island, South Carolina was named one of the Best New American Restaurants in 2004 by Esquire magazine. Following Lucca’s opening in 2008, the restaurant was a James Beard Award semi-finalist for Best New Restaurant in 2009 and Vedrinski was a semi-finalist for Best Chef in the Southeast in 2011. Most recently, Lucca was named one of the Best Italian Restaurants in the United States by Travel & Leisure (2012). The sparkle in his eye and his laughter as he works the pasta extruder tells us without a doubt that this is something he loves to do. You can also feel that vibe in his bustling restaurant in the evenings as Vedrinski makes the rounds with his guests, many times offering to cook for them, rather than having them order off the menu. Most importantly, with whatever you decide to order, the passion for doing what he loves most comes through in his food. 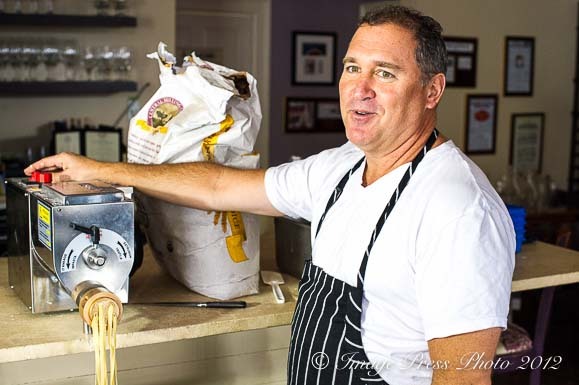 Over the past several years we have had the opportunity to spend time with Chef Vedrinski. 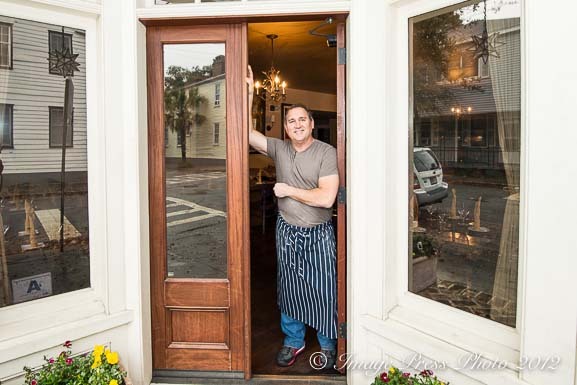 We got to know the person, his desires and ambitions, so we were surprised to learn that he decided to open a second restaurant on the Isle of Palms, about twenty minutes outside of town. His new venture, Coda del Pesce, which means “Tail of the Fish,” was an opportunity he couldn’t pass up when it was presented to him. Located directly on the water (which is hard to come by) in an area that he felt needed more restaurants, this new concept allows him to create a menu focused on the two things he is most passionate about, great Italian food and as the name suggests, fresh local seafood. 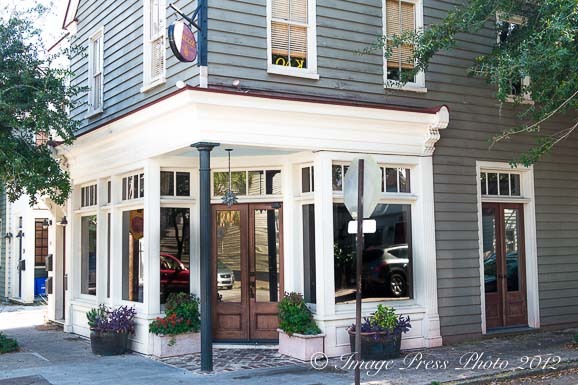 We have dined at Vedrinksi’s Lucca every time we’ve traveled to Charleston over the past several years. We look forward to it. The restaurant is always packed. Vedrinski said, “We’re doing something right every night. I’m doing what I need to do to be more successful and to take care of myself. I’ve worked hard to get my own place and I cook what I feel is right.” He likens being a chef to marriage. “You don’t marry someone you like a lot, you marry someone you love. To be good at this, just as in marriage, you need to not just be in love the first day, you need to be in love with it year after year.” Commitment and passion are two things Vedrinski brings to the table every evening.